Regardless of how many years have passed since you said “I do,” an anniversary trip is a great way to revitalize your relationship and rekindle your romance. Taking a vacation to celebrate your devotion to one another will give your relationship that much-needed excitement. So if you’re nearing your next milestone as a couple, visit our Texas ranch bed and breakfast, where you can escape, relax, and adventure together! Read on to see four of our romantic, handcrafted experiences that are perfect for your celebration. 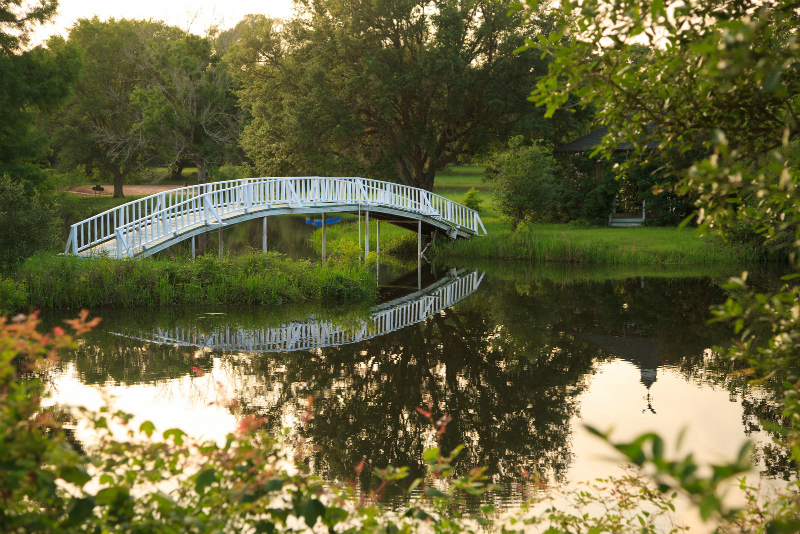 If you’re a couple who loves to get outdoors together, our 500-acre ranch is the perfect place for you to explore by foot, bike, horse, or golf cart! We are located amongst the stunning rolling hills of the Texas Hill Country, abounding with century-old oaks, lakes, and wildlife. The opportunities for adventure are practically endless: hiking, birding, biking, fishing, horseback riding, archery, and more! For the ultimate experience, bundle your activities and save by booking one of our adventure packages, which include many of these exciting on-site dude ranch experiences. Our peaceful property in the country is ideal for a tranquil couple’s retreat. There are many intimate settings for you to spend quality time together throughout the ranch, including one of our secluded hot tubs. 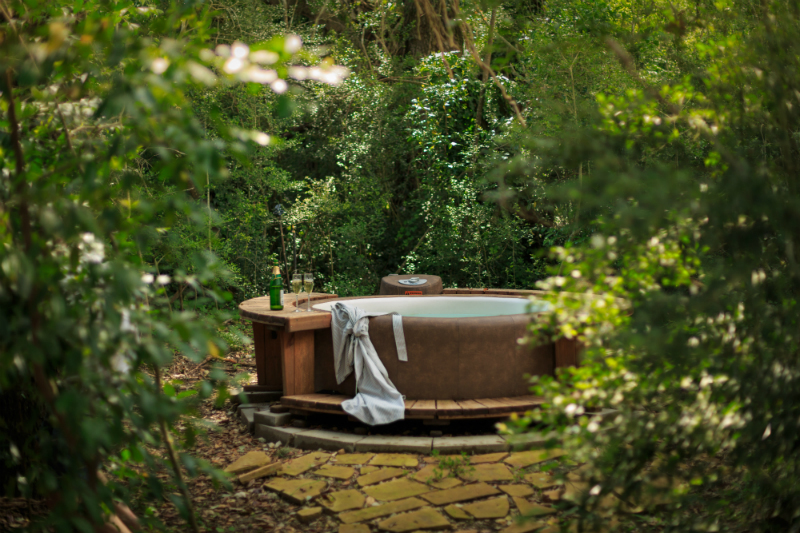 Soak away your stress while the two of you relax in a hot tub in the woods. You can also add some indulgence to your vacation with a couple’s massage in the comfort of your own room. It’s your anniversary, so you deserve to be pampered together! Get the full Texas experience with our handcrafted picnic and horseback ride package. You will be guided on horseback to our private lake, admiring the beautiful meadows, forests, creeks, and ponds along the way. Once you arrive, there will be a full picnic waiting for you, so you can savor your meal and marvel at the serene water. This lovely date is unlike any other, and you will look back at this unforgettable experience for years to come! To celebrate your big milestone, you can reaffirm your love for one another by renewing your vows at our romantic bed and breakfast. Our Texas Vow Renewal Package includes everything you need for an incredible ceremony with up to 8 guests. We will provide the officiant, bouquet, boutonniere, cake, Champagne, and two souvenir flutes, so you can enjoy your special day together! We also offer dinner and a photographer for additional costs. Our romantic ranch is the ideal place to celebrate your time together and look forward to the years to come! 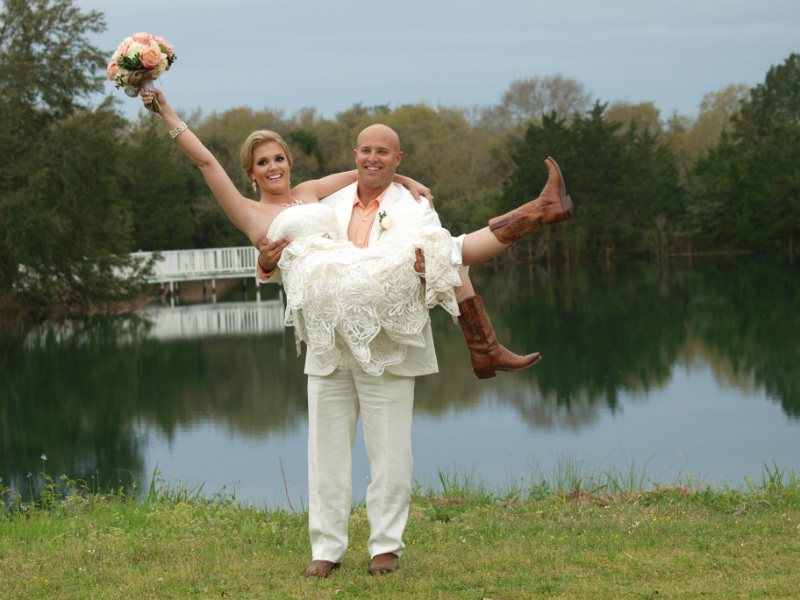 Request more information if you are interested in renewing your vows in the Texas countryside. 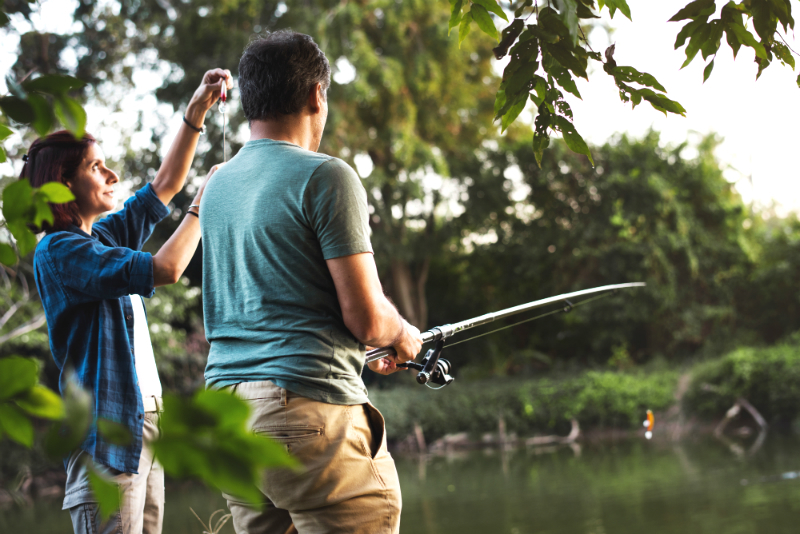 Regardless of how you choose to spend your quality time together on our property, we guarantee that your experience here will be exactly the escape that you need. 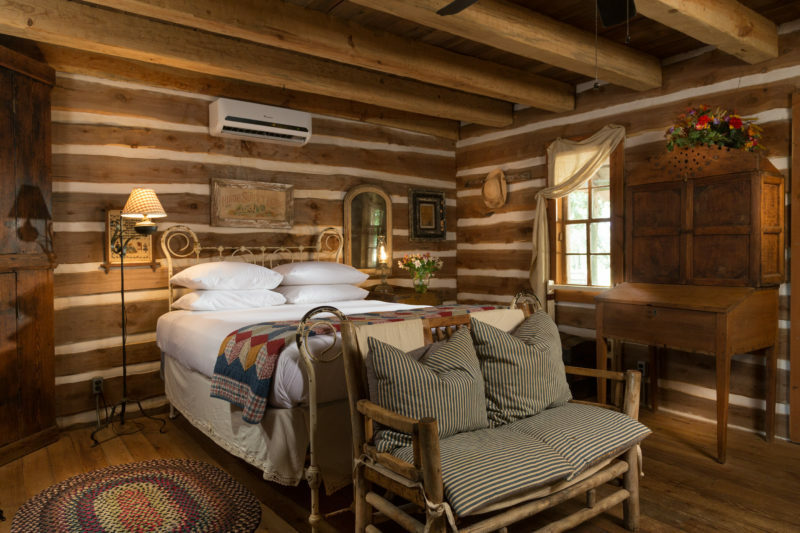 Unpack your bags in one of our 12 comfortable and unique accommodations, including houses, cabins, a covered wagon, and even a safari tent! If you want a relaxing yet exciting anniversary trip, or even a vow renewal, look no further than BlissWood Bed and Breakfast Ranch for your romantic destination.